Pokies aren’t just limited to land-based casinos anymore. These days they’re everywhere, including pubs, clubs, and even airports. They’re also available online, but the difference between a poker machine at your local venue and one offered on the Internet is better odds, gameplay features, interactivity and value for money. We compare the online and land based pokies format to determine which is better. You can play online pokies on your smartphone, tablet, laptop or desktop device – basically, you can play wherever you have a secure Internet connection. We take an in-depth look at the difference between land-based pokies and playing poker machines on the Internet – which can you do for real money safely and with ease. Payout percentages: Internet pokies generally have higher payout percentages. This is predominantly due to overhead costs for land-based venues, which thus need to make the house edge higher to earn a profit. This is why you will find RTP percentages to be between 87% (minimum required by law) and 90% for land-based gaming machines. Online operators have less expenses and can afford to offer higher RTPs with the usual rates between 94% and 98% – meaning more favourable odds for the player. RTP percentages are more transparent: Top online casinos, such as the many we recommend, are regularly audited by respected testing agencies, which in turn require the sites to display the reports. These detail the RTP rate, something which you won’t be able to find easily, if at all, at land-based venues. This provides a sense of transparency and a huge advantage when gambling with real money. Pokies variety: At land-based venues the variety of pokies usually includes fruit machines and video slots, as well as some progressives. Internet casino software developers have a huge variety in terms of what you can play, including 3D pokies (both computer generated and stereoscopic), video slots and classic fruit machines, as well as whether you play a huge number of paylines, or no paylines at all with Ways to Win titles on offer instead. There’s also more variety when it comes to features and bonus, offering multi-level bonuses, video game style features and much more, which you won’t find on land-based pokies. Larger progressive jackpots: Online software developers are employed by multiple Internet casino operators, which means the progressive jackpot pokies have large pooled jackpots. They are linked by a huge network and every player, irrespective of what Web casino they are playing at, will contribute to the prize pool of the title. These can have much larger prize jackpots than your local venue – land-based casinos may have the equivalent size, but remember they will have a lower RTP. You can play on the go: Thanks to Internet casino operators and software developers optimising their desktop sites and games to be compatible with Samsung and Windows devices, as well as iPhones, iPads, and other smartphones and tablets, you can essentially play on the go. Simply tap our links to our recommended online casinos – which all offer a mobile site – and get tapping the reels of HTML5 mobile optimised pokies. Popular pokies are always available: There’s nothing worse than having a favourite poker machine only to get to the venue and find someone else is playing it. You will never have this problem online, as the title will always be available – even if someone else is playing it. Welcome bonuses: Brick-and-mortar casinos may offer promotions from time to time, but these are nowhere near as good as the casino bonuses offered online. From the moment you sign up to a reputable pokies site, you are treated to all kinds of bonuses including a welcome promotion of bonus cash and/or free spins for new players, with any wagering requirements eligible to be cleared on the online pokies. What do land-based poker machines offer that online doesn’t? 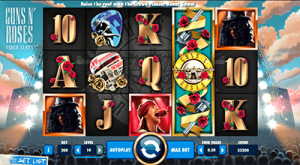 The social ambience – playing at home can feel quite isolating and there’s unfortunately no live pokies rooms online as there are for table games. The service – you can get waited on and even score free drinks at land-based casinos (though we wouldn’t recommend drinking too many while playing). Instant withdrawals – when you win on the pokies at land-based venues you can cash in immediately and receive your winnings as cash. Online you have to withdraw to your bank account or e-Wallet account which can take a few days to be processed. Irrespective of whether you prefer to play online or offline, you still need to ensure you are playing at reputable casinos. We have a list of both secure online casinos and reputable land-based venues for Aussies to play real money pokies at. 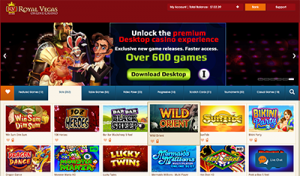 For a full list of the top-rated casino sites to play pokies online for real money, refer to our casino table at the top of this page where you can read detailed reviews or sign up using our links to claim your exclusive new player welcome bonuses. See for yourself if online gaming is better by heading to Jackpot City Casino and signing up for an account to receive up to $1600 in matched deposit bonus money.